goods & services availab le to the citizens & not on the quantity of bullion. advocate of Lassiez-Faire or Free Trade between the countries. account of climatic cond itions, availability of natural resources, abundant labour supp ly etc. p roduce tea & wheat & these resources measure up to 200 units. Point A & B shows the p roduction p ossibility of both the countries. has an absolute advantage. India would sp ecialize in p roduction of tea & U.S in wheat. more of every commod ity that is p roduced in the world. therefore has an absolute advantage in p roducing both the commod ities. Adam Smith & p ut forward his theory of Comp arative Advantage in 1817.
all the commodities that it wants to consume? In both the cases, the answer is "NO"
equally in the p roduction of tea & wheat. By entering into International Trade, combin ed p roduction of Tea & Wheat can be increased. on the stage of the cy cle. case of colour television the time lag was 5-6 y ears for Jap an and a few more for Europ e.
Europ e and Jap an led the way , the USA kept its focus on cable television. interaction, which is comp lex and r equires intelligen ce. p redictions for its bright future. the KPO sp ace, client conversion and develop ment takes longer comp ared to other p rocesses. level and investment in trainin g ar e imp erative. app ly ing existing technolo gy in a new way to imp rove a p rocess. file and then transfers any answered calls to an availab le telemarketer. client servicin g through call centers. launch of India's first p rivate undersea cable. The p rivatization of the telecom Industry has resulted in significant drop in telecom rates. further drop in telecom p rices. As a result, the telecom costs have dropp ed by 85% in 3 y ears. to imp rove p ower supp ly to ITES comp anies. INDIA CONS IS T OUTSOURCING OF 80% T HROUGH OUT THE WORLD. multi-national sup p liers across the IT solutions sp ectrum. outsourcing firms on the p lanet. enables its clients to manage their customer-relationship s.
towards one key objective-increasin g our clients' p roductivity "
To be the p remier p rovider of integrated technolo gy , marketing and customer care serv ices. Sutherland's mission statement has remain ed relevant and unchan ged since incep tion. p rocess outsourcing to the imp lementation and man agement of outsourced op erations. geo gr ap hies within which we op erate. p erformance or HR p olicies. Every one is chartin g their own course. high er than at home. So, how to be more efficient than the origin al? 5. Lack of focused train in g and certifications. the call center through hu ge servers. call is restricted for a given p eriod of time. the end of a certain p eriod rep orted to the p rogrammin g manager. whom he coordinates. There is a p articular group of associates for every client. For e.g. there is a group of 400 associates to manage and answer the calls related to DELL. and software p rocess and p roducts quantitatively understood and controlled. feedback fro m the p rocess and p ilot innovative ideas and technolo gies. to 2500 associates in near future. working cond itions and try to fulfill their exp ectations to the maximum. clear ed. There queries raised ar e answered by the chief of Sutherland, M umbai. associates are p rovided to p ick-drop facility from their door step itself. time in break-up s of 15 minutes- 15 minutes and � hour. Personal Health Care (Regu lar medical ch eck-up s.
BPO all over the world. p ersonnel, as through retirement, resignation, or death. increasin g while billin g r ates declin e.
challen ged p eop le and housewives. interview letters of the other call centers in the same ar ea. multip le geo gr ap hies working under a sin gle management model. achiev e their business objectives. Technical sup p ort for a Fortune 500 comp uter manufacturer. Customer care for a Fortune 500 online r etailer. Cross-sales for the leadin g cab le co mp any in the United States. Customer care and licensed sales for a Fortune 500 insurance comp any . Lead gen eration for a Fortune 500 telecommunications equip ment comp any . Account management for a lead in g U.S. medical equ ip ment company . Customer care for a leadin g electronic p ay ment systems comp any . telecommun ications comp any . Direct sales for a Fortune 50 p harmaceutical comp any . Technical sup p ort for a Fortune 100 software comp any . goals and objectives as their own. qualified to interact directly with y our customers over the telep hone. volumes of e-mail and Web-for m inquir ies. transferring URLs and online shop p ing cart order assistance. servers to add efficien cies to our customer supp ort p rograms. locations across the glob e.
p roviders to help them deliver p ost-sales technical sup p ort to their customers. high customer satisfaction scores at a comp etitive value. Imp rove overall emp loy ee p erformance. Gain valuab le customer feedback. Assess associates' listening and comp rehension skills. Evaluate associates' p roblem-solving abilities. Assess associates' customer relationship management skills. Entered into a co-sourcin g arr an gement with a Fortune 50 technology client. marketin g supp ort services from four op erations centers across the U.S.
Near shore op erations commence with the op ening of first facility in Sault Ste. customers and vendors. They believe that this is the only way to do business. emp loy ee as they p rogress through their career in the or ganization. their goals and objectives as their own. 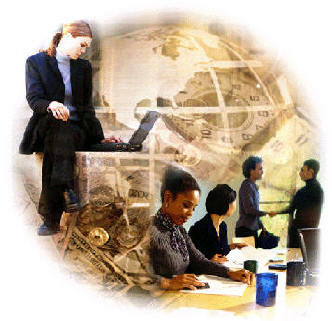 outsourcing the management or execution of non value-addin g p rocesses to the enterprise. intensive tasks that dominate the back-office. managin g d ifferent asp ects together. exceed in g their goals and exp ectations. Highly skilled, En glish-sp eakin g Workforce. Dedicated workforce aimin g at makin g a lon g-term car eer in the field. Lower resp onse time with efficient and effective serv ice. Exp ertise in new technolo gies and reasonab le technical innovations. Strong Government Sup p ort. have shown a tendency not to p ursue ITES as a full-time career. favoured ITES destination in the world. assuage their concerns and issues. It gives op p ortunities for creation of global brands. have an ed ge on the cost factors. Internal comp etition for resources. The biggest challen ge the sector is facin g is with attrition.